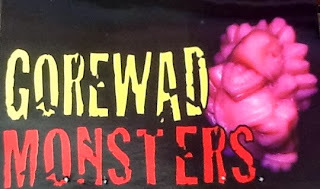 Ironhaus Productions OZ: PAST to PRESENT - new GOREWAD MONSTERS mini-review! PAST to PRESENT - new GOREWAD MONSTERS mini-review! 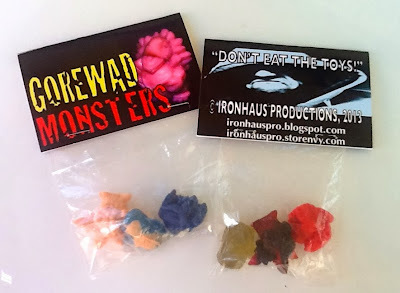 My order of new Gorewad Monsters arrived from the insanely talented IronHaus Productions the other day so I thought it was time for a mini-review on these crazy little rubber figures! 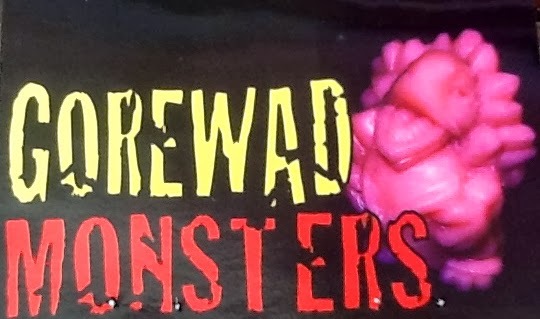 Gorewad Monsters are exactly what you would envision upon hearing the name, they're gruesome, vile and downright creepy, but thats why we love them! 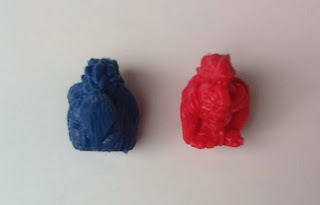 Roughly sized at 1" tall and cast from a bouncy, durable rubber. Gorewads are in available various colours, the latest figures figures are cast in a unique and fun 'colourbomb' style, which is a mix of 2 or more different colours. Packaging for Gorewad Monsters is your standard, bagged w/ header card, but the artwork is crisp and vibrant and made form a sturdy card paper. There have been multiple releases of Gorewad Monsters in 2012 by IronHaus Productions and Eric Nilla totalling over 16 figures. This latest instalment I believe are from the 4th set, and is made up of 3 new figures which will set you back $14 USD per 3-pack. These are in random colours, and could be solids, clears or the new colourbomb! 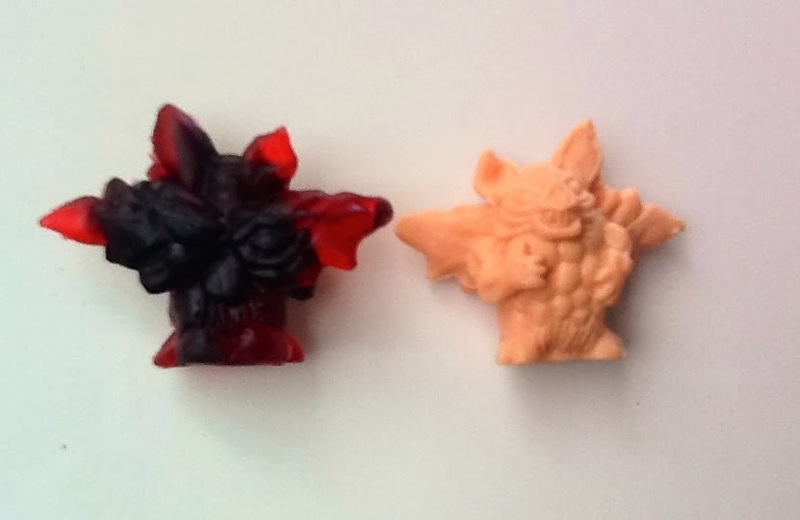 From left to right: Archeopteryx, Crotchy the inappropriate Martian & the dreaded Cancer Bat. These guys are really great fun, and full of personality! 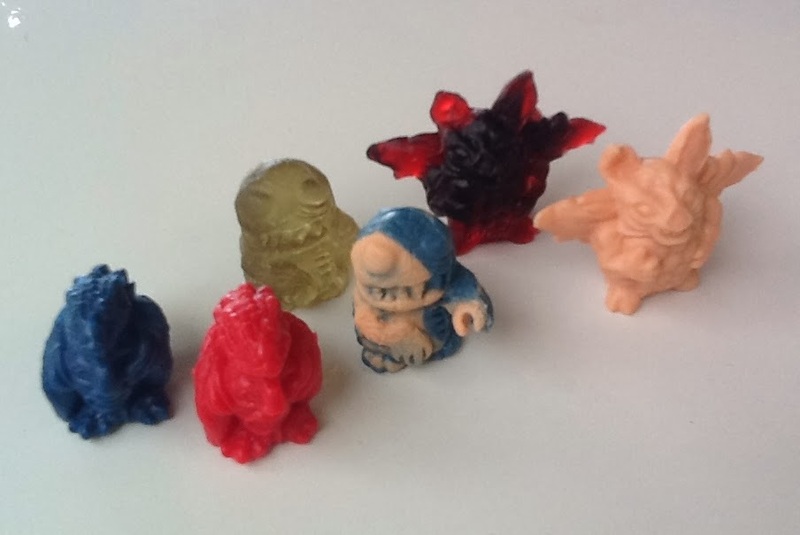 They're jam packed full of detail for 1" tall figures, and have a very nice feel to them, not unlike Monster In My Pocket or GPK Minikins. 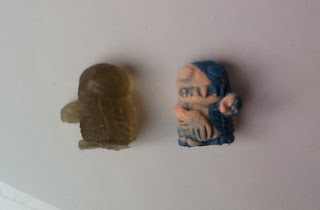 Let's have a bit of a closer look at each of the new figures on offer. This figure is deceptively clever. At first it looks like the head is adorning the Raptor as a trophy, much like Hercules does with his lion, but then you realise its actually the other way around and a feathered velociraptor is munching on some poor schmucks head! The details in the feathers and scaly textures of the Dino head are spot-on, I would love to see this figure custom painted. Lastly we have my favourite of the 3 new Gorewads, the dreaded Cancer Bat! This guy is AWESOME and is really the stand out for me in this wave. He's a rabid looking bat character with his almost crystallised wings and an bulbous mass of tumours for a body. Neat! I dig the facial expression with sinister grin, this figure has it all as far as Im concerned. 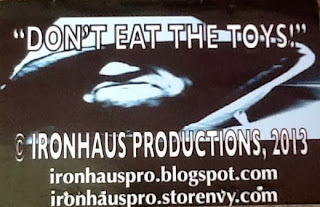 If you're looking to grab some for yourself, head over to IronHaus Pros Store and pick yourself up some! You never know what neat surprises you might mind there, and theres usually a deal going where if you spend over a certain amount you qualify for a freebie so check out Jimmy's blog at IronHaus Productions for any news. WIll be doing another update on this line in the near future, with a checklist on each figure thats been made so far in this fun little indie line of bite-sized freaks. Enjoyed the post! Gorewads are some of my favorite indie toys to date. Thanks man, yeah they are very neat figures!